As a result we have seen a whole community of interested companies and users climbing up the payments, banking, investments and monetary learning curve. The inevitable consequence is that those who do not get it right, will pay a price, while the others continue to learn. Due to the digital nature of bitcoin, these developments unfold rapidly, allowing us a compressed overview of lessons from financial history. What makes money tick is a solid institutional basis, upon which trust can be further developed. The latter part can be done by a combination of regulation (supervision) and self-regulation (market action). 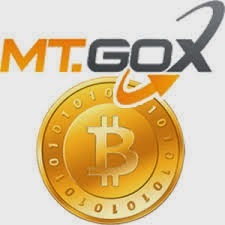 Which brings us back to the Mt Gox case. Following the events of this week, a statement was released by the bitcoin companies Coinbase, Kraken, BitStamp, Circle, and BTC China. The industry leaders committ to safeguarding the assets of customers, to applying strong security measures, to using independent auditors to ensure integrity of their systems and to have adequate balance sheets and reserves to be able to ensure continuity. In sum we can now see both a gradual development of both the institutional framework for virtual currencies and the market-driven self-regulation. This reflects the fact that - whether you like it or not - trust for financial services is always built on institutions, regulations and self-regulation.